The CFPB’s final prepaid rule is turning out to be very unpopular with Congressional Republicans. Two House representatives have followed the lead of a Senate colleague and filed separate joint resolutions to repeal the rule, which has attracted criticism from industry groups since the agency released it last year. But consumer groups, who lobbied for the rules, are attacking the effort, arguing that it would put consumers at risk. Like their Senate counterpart, House Joint Resolutions 62 and 73 provide “congressional disapproval” for the rule, and, if passed by both houses of Congress and signed by the President, will have the effect of repealing the rule. The House resolutions, sponsored by Rep. Tom Graves, (R.-Ga.) and Rep. Roger Williams, respectively, have been referred to the House Committee on Financial Services. Graves’ resolution has three co-sponsors, while Williams’ had 34 co-sponsors—all Republican members of the House Financial Services Committee—when he introduced his measure on Feb. 14. The Senate version from Sen. David Perdue (R.-Ga.) was introduced on Feb. 2, was read twice and referred to the Committee on Banking, Housing and Urban Affairs. The Senate resolution has nine Republican co-sponsors. The Electronic Transactions Association called on Congress to use CRA to repeal the prepaid rule in December. It has since circulated a draft letter members can send to legislators to express support for the resolutions. The letter echoes the ETA’s earlier calls for House and Senate leadership to use the Congressional Review Act (CRA) to remove what the association describes as an “overly prescriptive and sweeping” regulation. The 1996 law enables Congress to use simple majorities to pass bills that roll back recent federal regulations; the president then would have to sign such bills into law. Rarely used in the last decade, the CRA is now being employed by the 115th Congress for such regulations as those governing the disposal of coal and methane waste, the reporting of foreign payments by U.S. energy companies and federal contracting rules. The CFPB’s final prepaid rule is scheduled to take effect on Oct. 1. Industry groups including the NBPCA have called the rule overreaching because it covers products that aren’t used by consumers as their primary transaction accounts, and have expressed concerns about the industry’s ability to comply with a 1,689-page final rule by the Oct. 1 deadline. The NBPCA and ETA have argued that the CFPB rule will end up limiting consumer access to prepaid products with its one-size-fits-all approach. The National Consumer Law Center issued a press release claiming that Congress was “poised to block fraud protections to preserve prepaid card overdraft fees.” However, only 2 percent of prepaid cards have overdraft fees, according to a survey by the CFPB. Industry experts contend that the prepaid accounts rule creates an uneven playing field by instituting more onerous regulations on overdraft in connection with prepaid cards compared with existing regulation on traditional checking account overdraft programs. Prior to the election, one could argue that such differing treatment may be short lived as the CFPB lists “overdraft services on checking accounts” as an initiative in the “pre-rulemaking” stage in its current rulemaking agenda. However, under new presidential leadership, those regulatory plans are now in doubt. Faster Loans for Consumers with Little Credit History? Experian and Finicity Think So. New underwriting technology developed by Experian and financial data aggregator Finicity could speed up borrowing and enable millennials and other consumers with thin or no credit files to receive money. The product emerges amid a federal call for more work on helping those potential borrowers build credit scores. Brad Fauss is joining Wirecard North America as general counsel and vice president, compliance and governmental affairs. In his new role, he is responsible for managing the legal, compliance and governmental affairs functions for the North American business. Wirecard, a payments and commerce leader headquartered in Munich, finalized its acquisition of Citi Prepaid Services in March 2017, as part of its global expansion strategy. 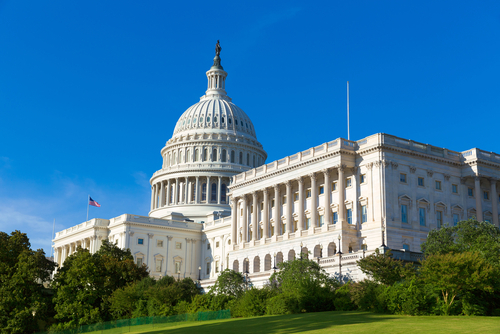 The Financial CHOICE Act of 2017 (HR 10), legislation to overhaul the 2010 Dodd-Frank Wall Street Reform and Consumer Protection Act, was approved along party lines by the U.S. House of Representatives 233-186 on June 8. The legislation focuses on ending big-bank bailouts and supporters say it provides more accountability for Washington and Wall Street, while removing barriers to economic growth. The CFPB accepted comments on its proposed delay of the effective date for its final rule on prepaid accounts through April 5. Rep. Scott Tipton (R-Colo.) likes the idea of a delay so much, he’s proposing giving the industry even more time. It didn't take long for Congressional Republicans to pounce on the CFPB's final rule on arbitration agreements, which the agency released on July 10. House Financial Services Committee Chairman Jeb Hensarling said he would support use of the Congressional Review Act to dismantle the rule, while Sen. Tom Cotton (Ark.) already has drafted a CRA resolution and is working with Senate Banking Committee Chairman Mike Crapo (Idaho) to introduce it "soon."